Hello lovelies! It's time again for another project I created with items available from Theresa The Scrapbooking Queen at her Royal Castle Shoppe! 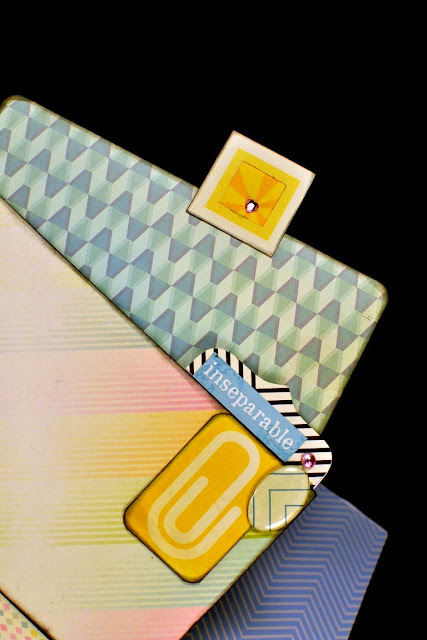 I wanted to show you the awesome things you can do with an amazing little tool from We R Memory keepers - the Envelope Scoring Board! I decided to make a cool mini album using some royal buttons and a CUTE Cosmo Cricket collection, Summer Love! And, let's not forget how awesome the envelope board is! Wanna win a Envelope Punch Board of your own?? Wanna see what I made? Of COURSE you do! I loved all of the little tags that come in the 8x8 Cosmo Minideck. The made such a cute addition to my little book! 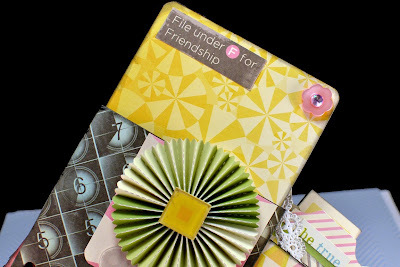 I was so easy to make a quirky little album using this collection! Every paper was unique, but also coordinated so well together! Wanna get in on some super cute Cosmo Cricket action? Hop on over to the Royal Castle Shoppe and request and invite (everybody gets accepted!) and you can start shopping! 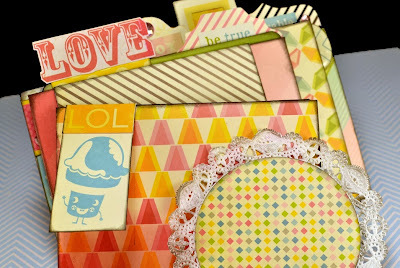 There are so many awesome things in the shop right now! Total Cuteness Britt. 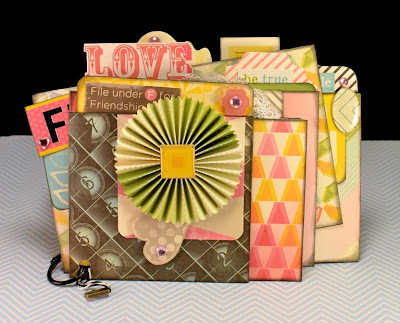 Love this CC collection and you did a fantastic job highlighting it with your adorable Mini Book! Peacock Hugs and Crafty Love! 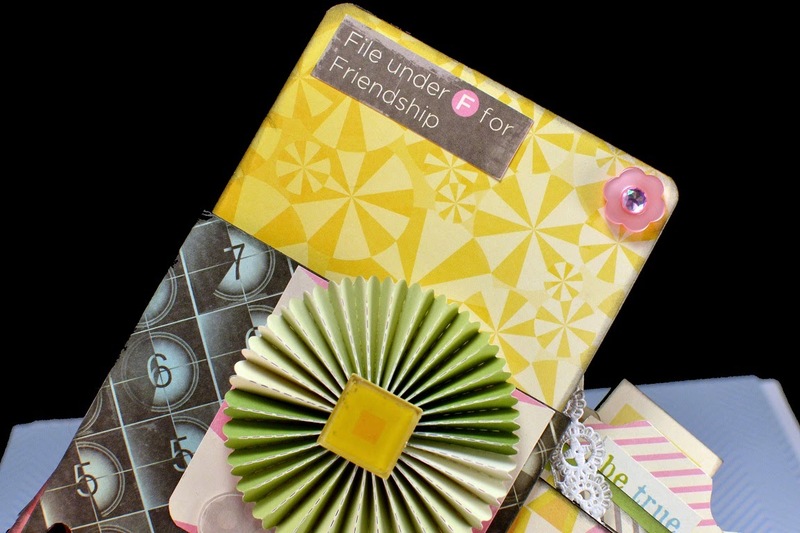 Pockets in albums are the greatest to keep all the little keepsakes! I love keeping things like Disney pamphlets and receipts. 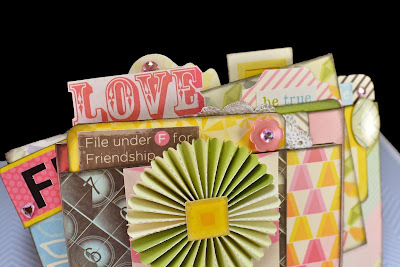 Great use of the envelope punch board! Britt, you did another awesome album! Haven't seen this collection from Cosmo Cricket and it seems really "fresh"! You did a wonderful job! Love the mini book - all of the pockets are fantastic, as I enjoy sticking tags and photos into them. also, thank you for sponsoring the Homespun Elegance giveaway! Thank you for sponsoring the homespun elegance giveaway!